Make the most of your time in Namibia. Petrified trees suspended in time between giant dunes, plains dotted with black rhinos at lonely watering holes, German beer halls in foggy coastal towns, and the largest canyon in Africa: Namibia is all of this, and more. Getting to this southern African nation is the hardest part—Namibia is largely English speaking, politically stable, very friendly, and still far enough off the tourist radar that you'll likely have plenty of solitude in even the most popular areas. A true year-round destination, Namibia is nice to visit in any season. Summer spans October to May, with mostly warm and sunny days—highs are around 90°F. Technically, this is also the rainy season, though most bouts of rain are short-lived and there can be days (or even months) between them. Spring and autumn (falling in September and June, respectively) are both short transitional periods with pleasant weather. During winter months (late June through August) expect lots of sunshine and brisk mornings, with daytime highs in the 60-70°F range. Nights can be cold—travelers planning to camp should pack accordingly. Namibia is where you go to see nature show off in weird and wonderful ways. Sossusvlei in the ancient Namib Desert is an absolute must—climb brilliant orange dunes and pay a visit Deadvlei, where petrified trees stand frozen in the sand. Etosha National Park is perhaps the best place in Africa to spot black rhinos; elephants, giraffes, leopards, ostriches, and more have also adapted to the arid ecosystem. Fish River Canyon is the longest and deepest ravine on the continent, Swakopmund is the coastal home to adventure sports like sandboarding, and Damaraland is full of fanciful rock formations, petroglyphs, desert lions and other wildlife. With 3 days in Namibia—most practically planned as an add-on to a longer South Africa tour—it's best to choose between a safari experience in Etosha or a trip to the famous dunes of Sossusvlei. In a week, you can comfortably visit both places and spend time checking out German colonial architecture and sandboarding in Swakopmund. Add a trip to Damaraland and diversify your safari experience with an overnight in Okonjima Nature Reserve for a 10-day trip. And with two weeks, you'll have time to experience all of the above—plus a visit to Fish River Canyon and some off-the-beaten-path areas that fewer travelers get to see. Take a road trip through Namibia, seeing the country's top highlights along the way. Climb ancient sand dunes at dawn in Sossusvlei, see German-colonial architecture in coastal Swakopmund, and hike the vast landscapes of Damaraland before two incredible days of safari in Etosha National Park—the best place in the world to see an endangered black rhino. 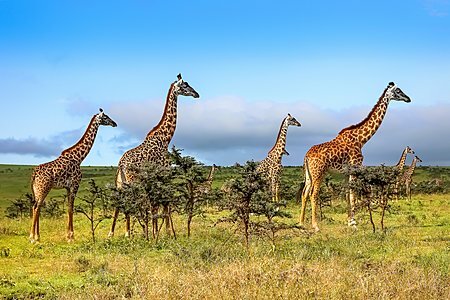 With one week in Namibia, travelers can safari through world-renowned Etosha National Park, visit coastal Swakopmund, and marvel at otherworldly Namib Naukluft Park—part of the oldest desert in the world. Hike some of Africa's highest sand dunes, check out the iconic petrified trees of Sossusvlei, and spot wildlife uniquely adapted to survival in Namibia's otherworldy ecosystems. Seeing the top highlights of otherworldly Namibia on this guided 10-day tour. Climb ancient sand dunes at dawn in Sossusvlei, see German-colonial architecture in coastal Swakopmund, and visit rescued cheetahs at the Africat Foundation. 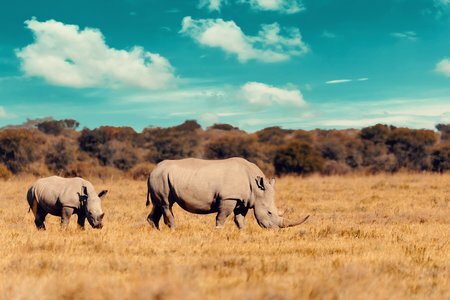 And of course, enjoy two days of safari in Etosha National Park—the best place in the world to see an endangered black rhino.